The J-22 Orao (Eagle) has many similarities with the Anglo-French Jaguar aircraft. 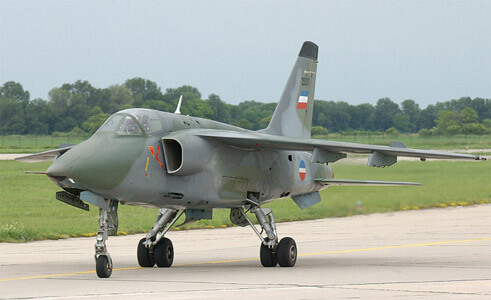 Apart from general configuration and appearance, the aircraft was also a joint -venture international program, in this case between Yugoslavia and Romania, with each country having their own variant and production line. (The aircraft is known as the IAR-93 in Romania.) 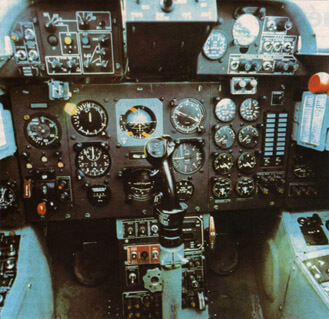 A prototype in each country flew simultaneously in 1974 with production of initial batches beginning in 1980. These initial aircraft lacked afterburners and in Yugoslavia were relegated to the reconnaissance role as IJ-22’s. The definitive production version entered production in 1984 but again there were delays in supply of afterburning engines. Approximately 200 examples of all variants have been produced in each country. This title includes the Flight Manual for the initial IJ-22 and the definitive J-22, has been scanned from the original manuals and retains any colour pages. Yugoslavian Air Force Flight Manual (Titled Upravljanje Avionom) for the SOKO J-22 Orao. 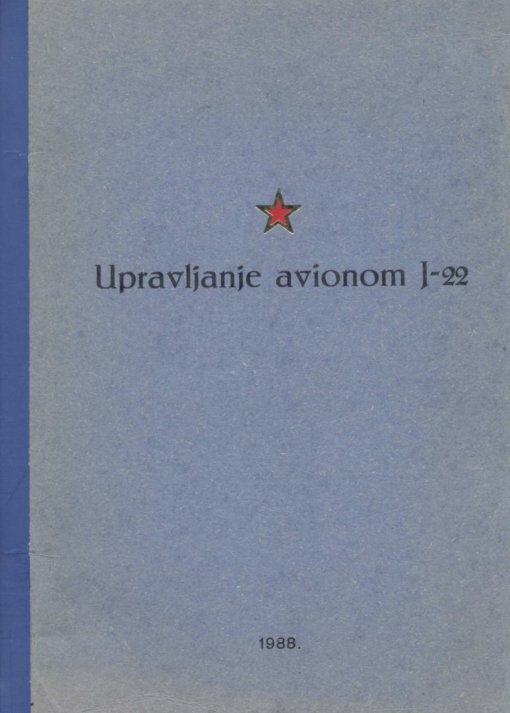 Publication VTU-01.VTUP.015/27 dated 1988, with approx 364 pages. (In the Serboian language). 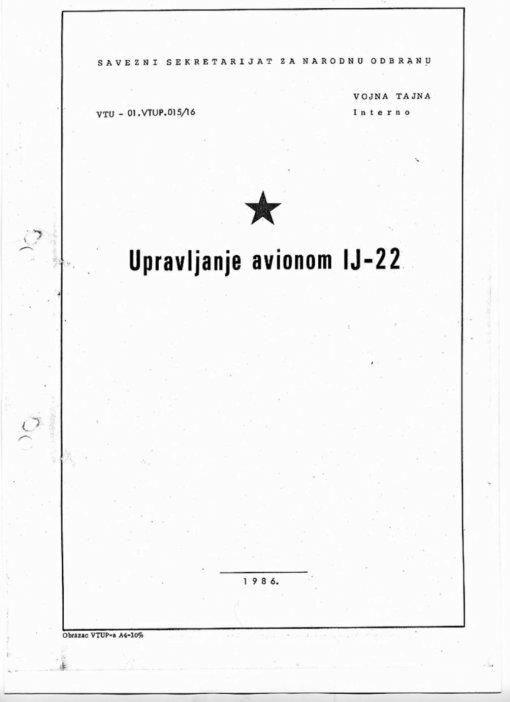 Yugoslavian Air Force Flight Manual (Titled Upravljanje Avionom) for the SOKO IJ-22 Orao. (IJ-22 is the reconnaissance variant.) Publication 01.VTUP-015/16 dated 1986, with approx 232 pages. (In the Serbian language).